A growing number of companies have come to the realization that it has never been more important to hire top performing digital executives. These days, a company’s ability to compete — and even to survive digital disruption — depends on it. However, the increasing demand for the best-of-the-best digital leaders is creating a shortage. But that’s not all. It is challenging to determine what, exactly, makes a digital executive a contender. Digital competencies are changing as frequently as our smartphones apps download updates. CIO Magazine does weigh in with some suggestions in an article entitled 6 Essential Competencies for Digital Executives by Senior Writer Sharon Florentine. Digital executives should understand their company’s products, market position, and technology stack. They should be results-oriented. Look less for specific technical skills and more for the ability to think strategically about technology and data and to adapt. Of course, top performing digital executives are always in short supply. As a result, companies are turning to traditional retained search firms for help. It is important to select a firm with digital DNA required to help. Seek search partners who leverage digital technologies and have a passion for this space. Look for search firms that innovate ways to leverage data to make recruiting more intelligent. Ask how a search firm harnesses the power of information to make search smarter. With the amount of data in the world doubling every couple of years, recruiting has shifted from a problem of too few candidates to that of too many. Too many unqualified and average candidates get the way of the top performers. As a result, traditional search firms are missing rockstar candidates who are “standing in plain sight” because too many candidates get in the way. You need a search firm with serious data expertise — one that is capable of separating the signal from the noise. There’s a treasure trove of candidate data available outside the resume databases and LinkedIn. That data treasure trove is the key to identifying, calibrating and recruiting best-of-the-best digital executives. Ultimately, you need more than a social network, a stack of resumes, or a list of candidates names. You deserve to know who is good. A data-driven approach can begin to answer that question. So ask firms about their use of data to check their digital data expertise. 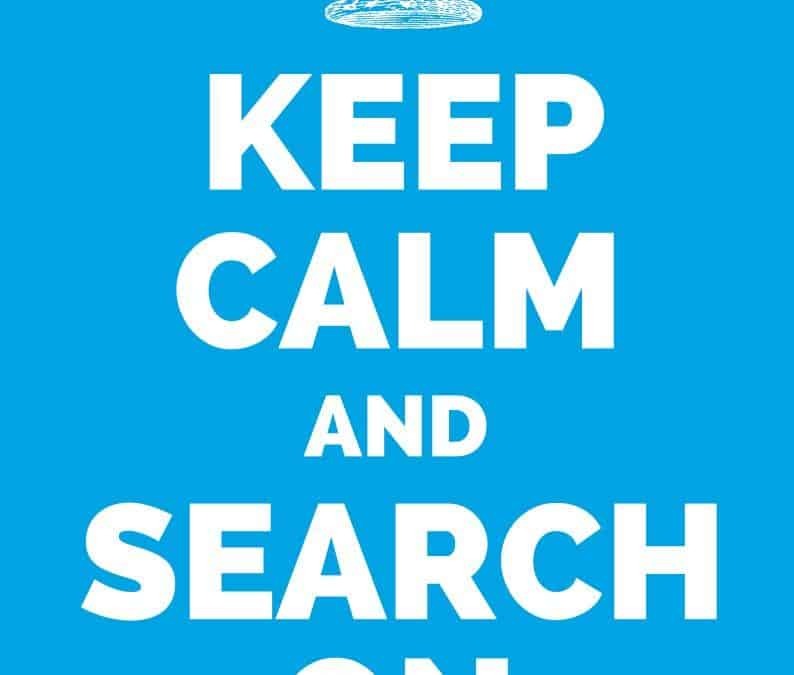 Look for a search firm that does more than gather information. Today’s search firms must stop to connect the dots and develop actionable intelligence for faster/better hires. The only sensible way to match force with the digital talent shortage is to outsmart it. 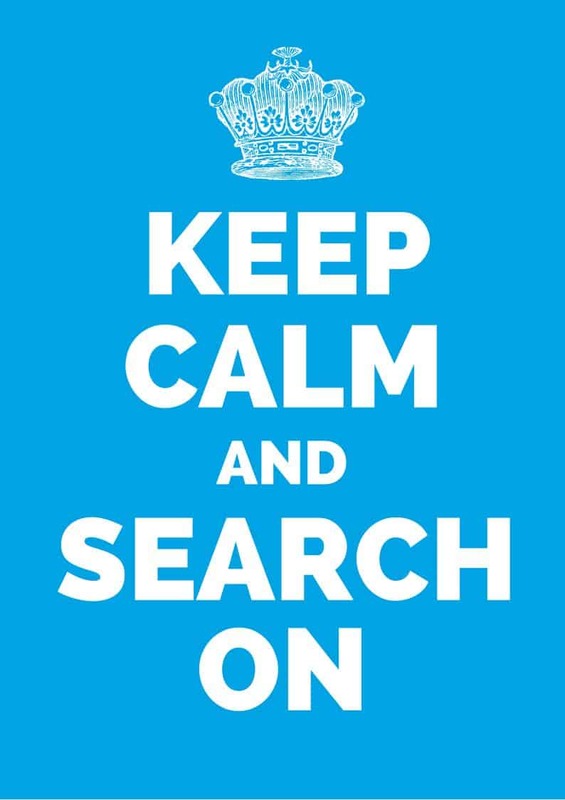 With smarter search, you really can “Keep Calm and Search On”. In fact, we created the executive search meme to serve as a reminder. In the war for talent, smarter, cooler heads prevail. In my next post, Top Digital Talent Key to Survival, I share insights digital transformation culled from a leaked New York Times internal report. The document contains fascinating insights on the digital leadership required to address perpetual digital disruption.